Momentum Energy achieved a very strong set of results to win Canstar Blue’s Most Satisfied Customers Award for electricity providers in Victoria, so we caught up with a company spokesperson to find out about Momentum’s no-nonsense approach to energy supply. Q) To achieve five-star ratings across the board in such a competitive space is an outstanding achievement. And as the only electricity provider in Victoria to earn top marks for offering value for money, how are you managing to keep your customers so satisfied? At Momentum, we don’t just sell electricity and gas. In an industry which many people find complicated and confusing, our customers benefit from being with an energy retailer who is honest and transparent. We understand comparing electricity and gas rates can be difficult which is why we keep it simple by offering competitive rates without the confusing discounts. We genuinely put our customers at the heart of everything we do and we’ve invested heavily in customer programs that have enabled us to identify and rectify issues impacting the customer experience within our business. We’re so pleased to have achieved five star ratings across the board as this reinforces the commitment we have to our people and our customers. Q) After value for money, we found customer service to be the next biggest driver of customer satisfaction. What is Momentum Energy doing to keep its customers so happy in this area and how much emphasis is put on good customer service? We believe that great customer care starts with great people and a customer centric culture. Our people love what they do and are passionate about caring for our customers. This translates to friendly, competent and convenient service from a business that listens, takes ownership of each and every call and does what needs to be done to achieve an informed resolution. We are an agile business with a close nit working culture that ensures any customer concerns are quickly communicated to the right people. This valuable feedback helps us improve and build a frictionless experience in all our customer interactions. Q) Many consumers point to billing clarity and accuracy as a frustration with their energy provider. What is Momentum Energy doing to keep your customers happy in this area? Customer satisfaction from a billing perspective is one of the biggest challenges faced by most energy retailers. We continue to work on our systems, processes and educating our dedicated teams to ensure that we minimise the impacts of any customer concerns, including billing. With honesty and integrity underpinning our values at Momentum we have learned that customers’ expectations are centred around delivering on a promise, even when things don’t go as well as we would like. Q) Finally, what can you tell us about consumer trends in Victoria? When do customers in the state use the most energy – is it to keep cool in summer or warm in winter? And can you tell us about any other times when you see an upsurge in energy consumption? Traditionally electricity was something that most people paid little or no attention to. 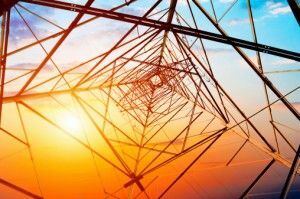 But with increased competition and rising costs consumers are increasingly more interested in how they use energy, how they can save on energy costs, and who can give them the best deal. We are also seeing more and more customers investing in Solar PVP to offset costs of increased electricity consumption – not just on extremely hot or cold days – but also from high energy consuming appliances. For example, many people have more than one fridge and it’s normal to see households with multiple televisions. And then of course there is the cost of running lights, which can be very expensive if traditional globes are used. In addition, the roll out of Smart Meters now gives Victorians the data they need to better understand how and when they use electricity. And with smart phone technologies it’s reasonable to expect that in the near future consumers will have access to real time data and applications to manage appliances remotely. The future of electricity consumption is transforming, and our team of Energy Solutions experts are working hard to anticipate these changes and build solutions to continue to create value for our customers in managing energy consumption.